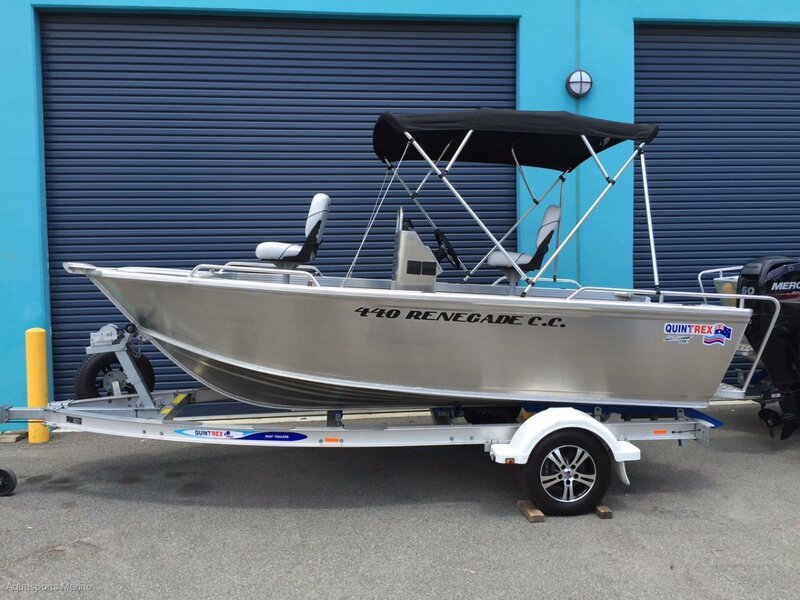 Brand New Quintrex 440 Renegade Centre Console - This Centre Console is the ultimate fishing vessel. With 360 degree fishablity the 440 Renegade has the luxury of being stacked with features while still providing plenty of room for your mates and fishing gear. Standard features includes, Built in storage under front low carpeted floor, Live Bait tank, 3mm plate construction makes this a solid boat, especially combining this with Quintrex's new Blade Hull design. - 12 months boat and trailer regos, all stamp duties paid - Drive away no more to pay!!!! Aluminium Blade Hull 3mm Top, Bottom and Sides.